Experience the thrill of a lifetime! At SKYDIVE KAUA‘I, your incredible journey begins with a 20-minute scenic plane ride offering stunning views of Kaua‘i’s majestic beauty. An exhilarating 30-second freefall comes next over the island’s breathtaking coastline and finishes with a peaceful 5 to 7 minute parachute ride that is truly unforgettable. Led by U.S. National Skydiving Champion Dave Timko, the experienced and friendly staff will be there every step of the way. Safety is Skydive Kaua‘i’s top priority and they use the most technologically advanced equipment available. Open for adventure seven days a week. What are you waiting for? 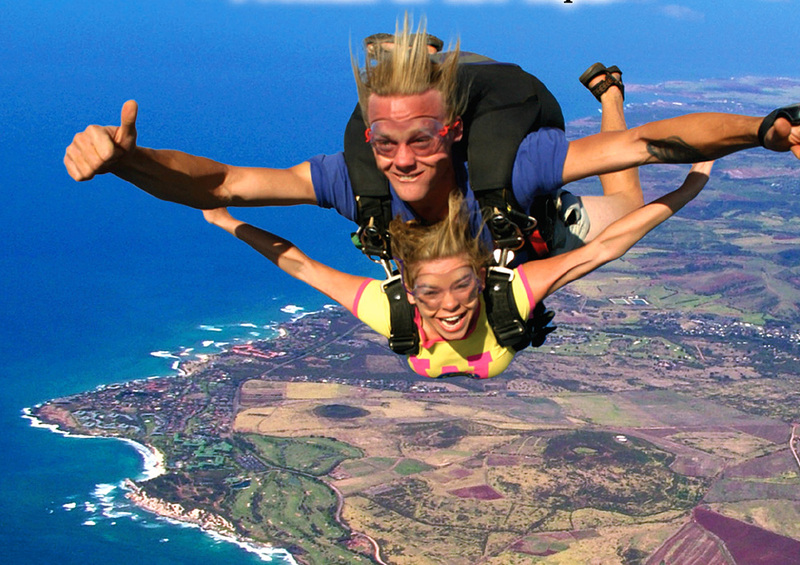 Take the leap and book your tandem jump today!